In the past dentists filled and sealed cavities with a silver and mercury amalgam. Unfortunately these fillings often weaken the tooth due to the large amount of tooth surface that had to be removed. Modern dentistry has turned to composite fillings or bondings as a strong, safe and natural looking alternative. Composite fillings use a soft, white plastic substance that can be matched to your natural tooth color. Composite material can also be used to cover stain and to rebuild or change the shape of your tooth. Composite fillings cost more than amalgams, however they are the only type of direct filling we do in this office. Most dental insurances cover the cost of a composite filling up to what they would pay for an amalgam filling. They have not caught up with this century yet. OSHA recently required dentists to install amalgam separators, so the mercury and silver would not be absorbed into the ground or drinking water. To us this indicates the use of amalgams as a risk. If you wouldn’t want something in your drinking water or soil, why would you choose to put it in your body? Many of us have let life get in the way of taking care of our teeth. There is no shame in this, it happens. When it has become an issue with pain you call the dentist. As you can see, Dr. Brusco is a skilled practitioner who can take care of your needs. We can help you to rebuild your smile to something that makes you proud and happy. Almost everyone has heard of root canals, usually from those who have not had good results and would rather go screaming into the night before subjecting themselves to another one. Thanks to advances in dentistry, this procedure has become less uncomfortable and can often be done in one or two visits. It is often a necessary treatment in saving a valuable tooth from being lost. Root canal therapy treats disorders of the nerve (pulp). In the past often times the tooth was simply removed. Today 95% of case can be successfully treated by a root canal. Modern dentists believe in saving natural teeth and make every effort to help you keep those natural teeth for a lifetime. THERE ARE SEVERAL REASONS THAT WOULD INDICATE THE NEED FOR A ROOT CANAL. Physical irritation caused by deep decay or a very large filling. The tooth pulp (nerve) becomes irritated and infected. Bacteria grow within the pulp causing pain which sometimes can be accompanied by swelling. Sometimes it comes on quickly and the pain is intense and throbbing. Sometimes this happens gradually and little pain is felt. Eventually the bacteria will destroy the pulp and in turn the bone structure surrounding the tooth may become infected and so destroyed. This is why when a dentist diagnoses an abscess on an x-ray, root canal therapy is often recommended even though the patient is not experiencing constant pain. An abscess is an infection and may become systemic if not treated in a timely manner. During the treatment the tooth and surrounding area are numbed with local anesthetic.  The tooth is isolated with a rubber dam and an opening is made through the tooth to the pulp. The diseased pulp is then removed and the root canal area is carefully cleaned, enlarged and shaped. In some cases a medication is placed to control bacteria growth and spread and to reduce the infection. Some cases require the small opening on the tooth to be left open to allow the infection to drain. This is to prevent pressure from building up. The inside of the tooth is then sterilized to remove the bacteria. The root canals and pulp chambers are filled and sealed. It is important for a patient to follow this treatment to completion. Stopping before completion leads to complications later. Many patients feel that once they are out of pain, after the initial visit (once the infected pulp is removed), there is no reason to return and have the procedure finished. If all the steps of the root canal are not completed start to finish, the patient opens themselves up to loss of the tooth, function and systemic disease. Brittleness of the tooth. A non-vital tooth is more brittle and is more susceptible to fracture and breakage. Your dentist will recommend a post, core and crown be placed on the tooth to protect it. This should be done shortly after the root canal has been completed. Discoloration. A non-vital, endodontically treated tooth will discolor since the blood supply has been cut off to that specific area. Again, the treatment for this is a post and core and crown. Again, we believe in prevention rather than pain. As soon as the doctor identifies an abscess or sees a tooth with severe decay around a large filling he will recommend root canal therapy. Although you might not be experiencing pain at that moment in time, it does not mean the tooth is problem free. We want to treat the tooth before it becomes a painful or dangerous problem. Crowns can be considered restorative or cosmetic. They can be used to restore a tooth that is cracked, decayed or damaged to its natural form, function and beauty. A crown is a permanent covering that fits over the tooth much like a thimble, replacing the form, function and enamel of the tooth. A crown strengthens weakened tooth structure, is compatible with tooth structure restoring teeth disfigured by decay, breakage, abrasion and imperfect development. Porcelain crowns typically have the most realistic appearance. They are also used to restore teeth weakened by root canals which unless treated in this manner have a high risk of breakage. When a crown is used for restorative purposes, (and we have to prove it to the insurance companies with pre-op x-rays), insurance companies will usually pay their portion providing there are no riders, waiting periods or exclusions written into your plan. Crowns can be purely cosmetic in nature. If you are dissatisfied with your smile, all that can be changed with either crowns or veneers. The tooth is prepped, and impression taken, color and shape chosen and once they go off to the lab you will have them back in about 2 weeks, ready for insertion. Dr.B is very particular about all his crowns. If the fit or color is not right, he will send them back to the lab. Just keep in mind that the most natural looking crowns are the ones that fit your bone structure and other facial features. Crowns for cosmetic reasons are not generally covered by insurance. We have to prove to the insurance companies dental need for such crowns and front crowns are scrutinized very carefully by insurance consultants. A bridge is exactly what it sounds like. It spans the teeth between missing teeth replacing the missing teeth with filler crowns. It is used to fill the gap where a tooth or teeth have fallen out or been removed. A typical bridge consists of a pontic crown or crowns (the filler teeth) which are attached to surrounding crowns (abutments).Bridges are non-removable, permanently cemented into the mouth. Without the use of a bridge, spaces in the mouth from the missing teeth can cause multiple teeth to shift, cause jaw problems and possible speech impediments. With proper care, bridges can remain in place indefinitely. They help eliminate strain when biting down, correct speech impaired by missing teeth and make chewing and enjoying your favorite foods a pleasurable experience. Unless your insurance plan excludes bridges, most pay their portion of this procedure. Aside from the restorative nature of implant dentistry, Implant dentistry is the art and science of designing beautiful smiles. Patients with gaps in their teeth or missing teeth may have lower confidence levels. Missing teeth also affect speech and the ability to chew normally. The dental community considers this a good resolution. Implanting an artificial root and tooth, which feel and look natural, can restore confidence as well as function. Pre-operative considerations, such as medical conditions, medications, gum and bone health, age and smoking, and the fact that there has to be enough bone to support an implant are vital to ensure optimal results and a successful outcome. Dental implants are one of the greatest accomplishments in dentistry over the past few decades. They are highly successful in replacing a single tooth, multiple teeth or as anchor replacements for bridges or dentures. Implants can save teeth and have improved the quality of life for many patients. Patients may feel that dentists are “pushing” these implants as a treatment. They are considered a high standard of dentistry and all dentists want the best care for their patients. The process has gone from revolutionary to predictable, streamlined and less painful than when they were first introduced. They are the next best thing to your natural teeth. The dental professions, including myself, is very excited about how well implants have proven themselves as an alternative treatment and are very eager to share this with their patients by using implants instead of older, less effective treatments. Dentures, either full or partial, are a great way to restore one’s compromised dental health. They are removable and function best between 7-10 years of insertion. The dentures and your gun tissue should be examined regularly to check for fit and condition of the gums. If the fit is off, there may be a necessity for replacement. A patient can lose function, bone support and damage the temporomandibular joint (TMJ) if not properly monitored. Dentures initially require several visits to fabricate and then several more to make sure they fit to perfection. After 6 months to a year they may require a lab reline to compensate for any bone loss. From time to time they may require repair. At that point they are sent to the lab that made them for professional attention. Approximately 75% of the population has some form of periodontal (gum) disease and the majorities are not even aware of it. The early stages are not painful, so how could you be aware of this? Gum disease starts in between the teeth where toothbrushes can’t reach and most people cannot floss effectively. Gingivitis, the earliest stage of the disease is a bacterial infection of the gums is reversible. This is the only stage of the disease which is reversible. The gum tissue becomes inflamed and bleeds during brushing and when probed. At this point there is no bone loss involved. More frequent cleanings and better home care may be prescribed course of action. We will monitor your progress at subsequent visits. Periodontitis II and III have the same warning signals. The exception is that at this point bone loss is involved. Remember this is an infection and it has now spread into the bone. Bone loss is irreversible. Probing may show pocket depths of 4mms and over. In a healthy adult mouth those depths would be between 1-3mms. Permanent damage has been done and treatment becomes a necessity if a patient wishes to keep their teeth. Early detection, combined with treatment and better home care is the key to successful results. Our hygienists, both highly trained in periodontal offices, will perform a gum examination and measure your pocket depths. If needed a full mouth series of x-rays may be done to determine the extent of bone loss. Routine cleanings are not enough to treat periodontal disease. Initially you may require a debridement followed by scaling and root planning. All this will be explained to you at your visit or treatment plan review appointment. THERE ARE SEVERAL CAUSES OF PERIODONTAL DISEASE. In addition, medical evidence now links gum disease to a number of health issues including heart disease, stroke, diabetes, premature births and low birth weight babies. Periodontal disease may be disfiguring as well. The gums become so inflamed that they bleed easily. Your teeth may shift and need to be removed. The infection can become so systemic that it can cause endocarditis, which is a serious heart condition. It can also weaken the jawbone so much that it weakens and can be broken very easily. There are many patients whose doctors will not perform certain surgeries or begin cancer treatments unless the patient has been periodontally cleared by a dentist. THE TYPE OF TREATMENT YOU RECEIVE DEPENDS ON HOW ADVANCED YOUR DISEASE IS. Flap surgery—This allows us to gain access to the root of the tooth for the removal of calculus, plaque and diseased tissue. The gum is then secured back into place. These are the stages that require a full program for treatment. We subscribe to an aggressive course of treatment. Depending on how long you can sit in the chair comfortably determines the amount of visits the treatment will take. We have booklets and folders explain what will happen at each vivit and what you can expect afterwards. ONCE YOU HAVE COMPLETED YOUR TREATMENT. Once your treatment is completed your hygienist will need to see you on a more regular basis. You may need to come in twice more per year than a patient with a healthy mouth. This is to insure the disease is under control and answer any of your home care questions. If you use tobacco in any form, you should know that it contains chemicals that can slow down the healing process and cause the disease to become more severe. Good oral hygiene at home is essential to help keep the periodontal disease from becoming more serious or recurring. In this office we believe in treating the disease BEFORE the pocket depths and bone loss become problematic. We offer a comprehensive treatment protocol. Your insurance may cover a portion of this, but the out of pocket is worth your overall health. As with everything regarding any type of healthcare (and dentistry is an important part of your healthcare), early detection and treatment will save a patient time, money and pain. Our hygienists have been trained in periodontal offices and are very passionate in the fight against gum disease. They have seen too many patients ignore the warning signs and then suffer for it later. We want to help! Early diagnosis and treatment is essential to reduce any or all of these symptoms. It is a controversial issue in dentistry and Dr. Brusco has been trained by the Dawson Center to help you with this problem He will discuss all options and the best treatment for each individual, as treatments vary from case to case. All procedures are done with local anesthesia in our private practice and are followed up with an afterhours phone call to make sure the patient is doing well.